WOW! Exquisite estate nestled on 4+ private scenic acres. Built by Cross Homes, this 1.5 story custom residence boasts 9,182 sq. ft. of living space enhanced by superb craftsmanship and high-tech integrated systems. 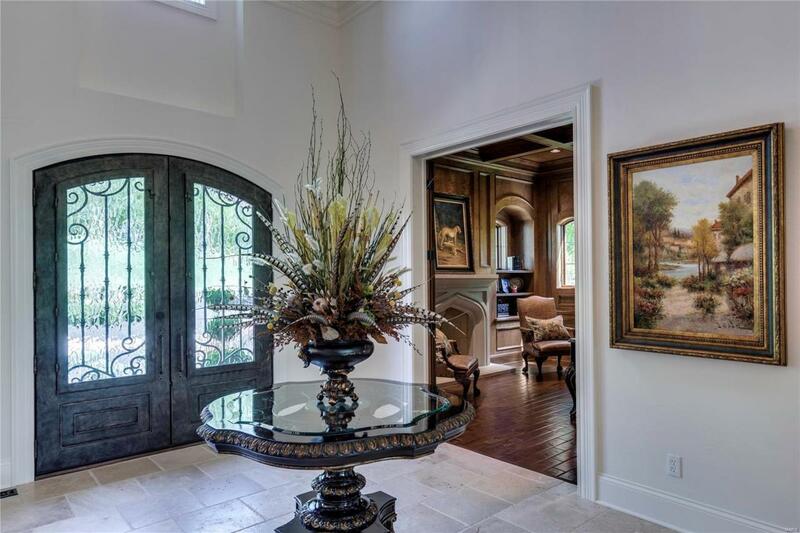 Extraordinary double wrought iron and glass doors welcome you to a magnificent foyer w/soaring ceilings, numerous oversized chandeliers, breathtaking Venetian plaster walls, hand scrapped wood floors, & numerous high-end finishes. GREAT FLOW is everywhere! MF master suite is a haven of luxury w/oversized custom closets, custom vanities w/exotic tops, separate soaking tub, open spa showers, & a wealth of storage. Two addtl BR suites-UPR, One addtl BR-LL, 4.5 baths, Luxe Kitchen, Control 4 Theatre Rm, Gym, Billiard Rm, LL Full Bar, 4FP (inside) + 1 FP (outside), Motor Court w/5 Car Garage, Pro-landscape, & list goes on. Truly a MUST SEE!